As the ever-increasing of small business, Ethernet switches with PoE (power over Ethernet) technology to realize real-time monitoring and management. 8-port PoE switch is one of the commonly used PoE switches in business networks. 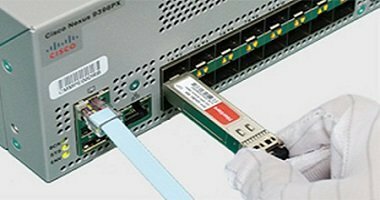 Considering different factors, it’s common for users to find a matched cheap PoE network switch to replace the expensive one. In this post, the alternative—FS S1130-8T2F 8-port PoE managed switch—for D-Link DGS-1100-10MP 8-port PoE switch and why it can replace DGS-1100-10MP switch will be talked about in details. D-Link DGS-1100-10MP smart managed PoE switch offers 8 10/100/1000 ports and 2 Gigabit SFP ports, providing an affordable solution for business of all sizes. It’s mainly deployed for Video IP surveillance applications. Different from other 8-port PoE switches like Cisco and HP, D-Link DGS-1100-10MP is much cheaper for users. Similar to D-Link DGS-1100-10MP PoE gigabit switch, FS S1130-8T2F 8-port PoE managed switch comes with 8 10/100/1000Base-T RJ45 Ethernet ports, 1 console port, and 2 Gigabit SFP slots. With fanless design, this managed PoE switch provides silent and reliable operation and offers high performance for VoIP phones, wireless APs, and IP surveillance cameras. 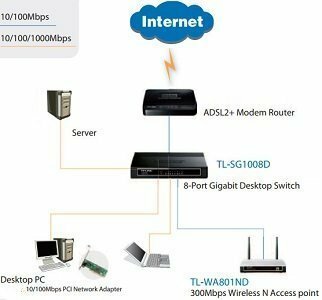 Why FS S1130-8T2F 8-port PoE managed switch can be used to replace D-Link DGS-1100-10MP? Let’s have a look at the following chart. From the chart above, we can see that FS S1130-8T2F 8-port gigabit PoE switch has the same parameters with D-Link DGS-1100-10MP PoE switch. And in some aspects, FS 8-port managed PoE switch has more advantages. As we know, managed switches often enable network administers to have more control of their networks, which is why managed switch becomes popular in small and mid-sized business networks. Besides, FS 8-port gigabit PoE managed switch is the fanless design which provides silent operation, offering a more pleasant operating experience. 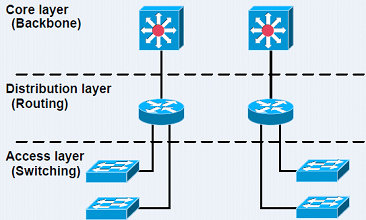 Though the parameters of these two PoE switches are similar, what about their applications? Can FS 8-port PoE managed switch has the same performance with DGS-1100-10MP? The answer is “yes”. As has mentioned above, DGS-1100-10MP PoE switch is designed to IP Surveillance applications. So does the FS S1130-8T2F. Except for web management interface which allows administrators to manage the switch down to the port level in a user-friendly way, FS 8-port PoE managed switch also supports various advanced management like CLI, TELNET and SNMP. The picture below shows its regular applications. Cost is an important parameter that many users will consider when buying an 8-port PoE switch. 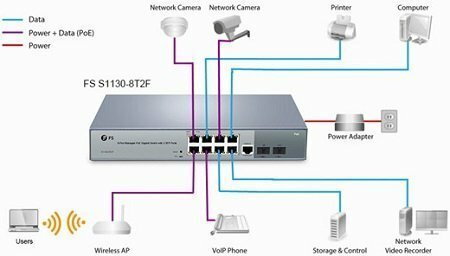 FS S1130-8T2F 8-port gigabit PoE switch is available at $159 online, while the price of DGS-1100-10MP PoE switch is $290 average. 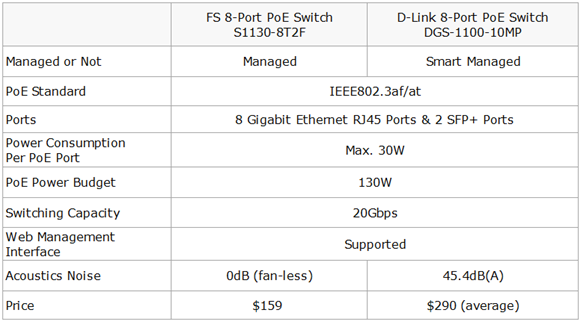 In terms of cost, FS S1130-8T2F PoE switch seems to be a better choice. PoE switches provide an ideal solution for quick and easy PoE IP camera and surveillance deployment with power feeding. Open Source Switch: How Much Do You Know?